If you want speed and size, Westview's Ethan Luc is your guy. Distance and stamina are Jesuit's Trent Martinez's forte. Versatility and across-the-board speed speak volumes about Beaverton's Van Mathias. They're all multiple time Metro League district and Class 6A state champions — the kings of a conference that annually churns out high major D1 athletes. The trio makes swimming look easy, effortlessly easing up and down the pool lanes, powering towards personal records and peaks that few of their peers can touch. All three are D1-bound. Luc signed with Arizona State University whose program is run by the legendary Bob Bowman. Mathias inked with Indiana and its stable of Olympic-level coaches. Martinez is only a junior, but will no doubt have his boatload of suitors. The way all three tear apart the competition, one would assume they simply roll out of bed and put their God-given ability to good use. That perception, however, is shortsighted. To be great requires a yeoman's work ethic, the discipline to put your social life on hold because you have to get up at the crack of dawn for weekend club competition, the dedication to put in two practices a day, plus a dry land workout all to live out a D1 dream. The club circuit is demanding, to say the least. Practices run every day during the season. Some start at 5 a.m. on the dot, meaning swimmers have to be up a 4:30 to get calories in their body and make it in on time. Yardage and laps are counted meticulously. National meets can span three or four days on select weekends. Those are the most pressure-packed galas with college coaches looking on, stopwatches out, seeking out the best times with the promise of college scholarships proverbially sitting in their back pocket. It's not for everyone. "Club is very serious and sometimes it can be hard to find fun in that," Martinez said. "Sometimes the only fun you have in an entire season is that last meet when you get a best time. But, that's the reward I get. I love spending time with teammates, but sometimes it's hard to find that spark." Luc said he took time off during winter break to give himself a mental hiatus from the day-to-day toil that takes a toll on even the most mentally tough swimmers. The senior traveled to California, where he had planned to train with a club team but decided to step away, if only for a short time to reset and get refreshed. "I needed the break because I wasn't in the right mindset," Luc said. "I'm feeling better in practice now, so it's been an improvement." High school swimming, in a sense, is an escape. Five years ago there was a growing sentiment that more and more club swimmers would find the high school season excessive, that the time constraint required from their club teams would be too much of a strain. With physical energy at a premium, not to mention GPA's to maintain, some high school coaches feared their star club swimmers would turn down the chance to swim for their schools. Yet, that belief never fully got off the ground. Stars like Luc and Martinez, who teammates refer to as "the big man on campus" take great pleasure in representing their respective schools and moreover getting to compete in a relatively duress-free environment where fun and teamwork take precedent over times. 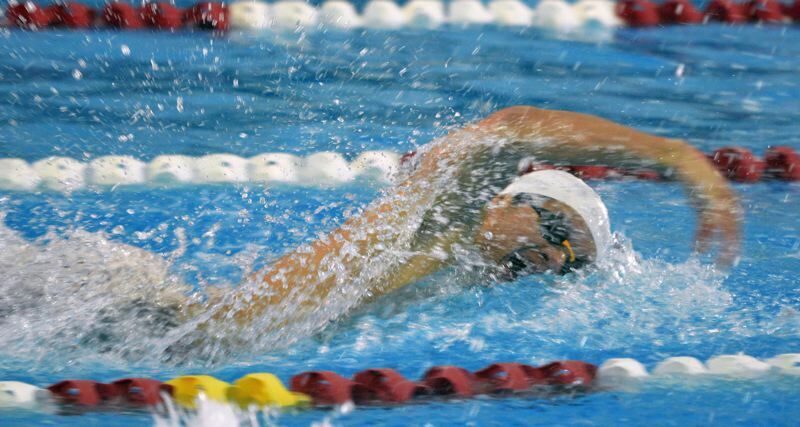 For example, when Jesuit and Westview went up against each other two weeks ago, Martinez swam the 100 butterfly and 200 individual medley, two distinctly different events than his customary specialties, the 200 and 500 freestyle. Away from the lanes, Martinez mingled amongst teammates, smiling, laughing and joking with his peers, enjoying the chance to relax. "I love being around my high school friends," Martinez said. "It's a good changeup that I love being a part of. It spices things up for us. Doing the same thing over and over again can get stale, so it makes it more fun for us and brings more enjoyment to the sport." Luc and Martinez swim for the Oregon Thunderbolts, while Mathias competes for the Multnomah Athletic Club. All three lift weights in the morning twice. Every afternoon they swim after school for two hours. During the holiday break, Luc said they put in four "doubles" workouts during the week meaning they lifted in the morning and swam in the afternoon. At their peak, the stars put in 10 practices a week, or close to 22 hours. "It's really annoying when people underestimate swimming and how much time we put in," Luc said. "We put in a lot of work. I hear high school football players say, 'Swimming is easy' and all that. But we're at practice every single day and we're putting in all this work. I don't think people in high school realize how hard the sport is It's gruesome. It affects us mentally and physically." But the payoff for punishment is rewarding, both Luc and Martinez agreed upon. Those best times and personal records that sit out in front of them as they churn up and down those cold pool lanes early in the morning feel even better because of the grind that goes into them. Because of his faithfulness to the process, Luc was able to shave off the precious seconds needed to clinch Division One interest from around the country. Luc, Mathias and Martinez will all have their collegiate education paid for. They've felt the glow of being a state champion and the perks of being relatively acclaimed around their campuses. Luc said he already has a number of friends competing for Arizona State and liked the "laid back nature" of the Sun Devil coaching staff outside of the sport. Luc committed early in the recruiting process and has already formed a strong bond with his fellow recruits. As the reigning state champion in the 100 free, Luc wants to repeat while adding a 50 free title to his resume. The past two seasons Luc came up shy in the short sprint but believes he can get to the state pinnacle. Martinez is the prohibitive favorite to repeat in the 200 and 500 free. 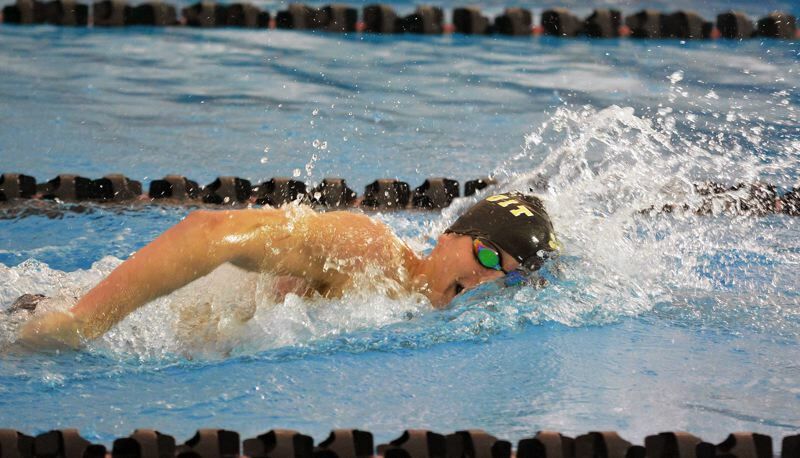 Mathias can swim a number of events and won state titles in the backstroke and butterfly last year. The Metro League district championship meet is Thursday, Feb. 8, and the 6A state championship meet is Thursday, Feb. 15, at Mount Hood Community College.